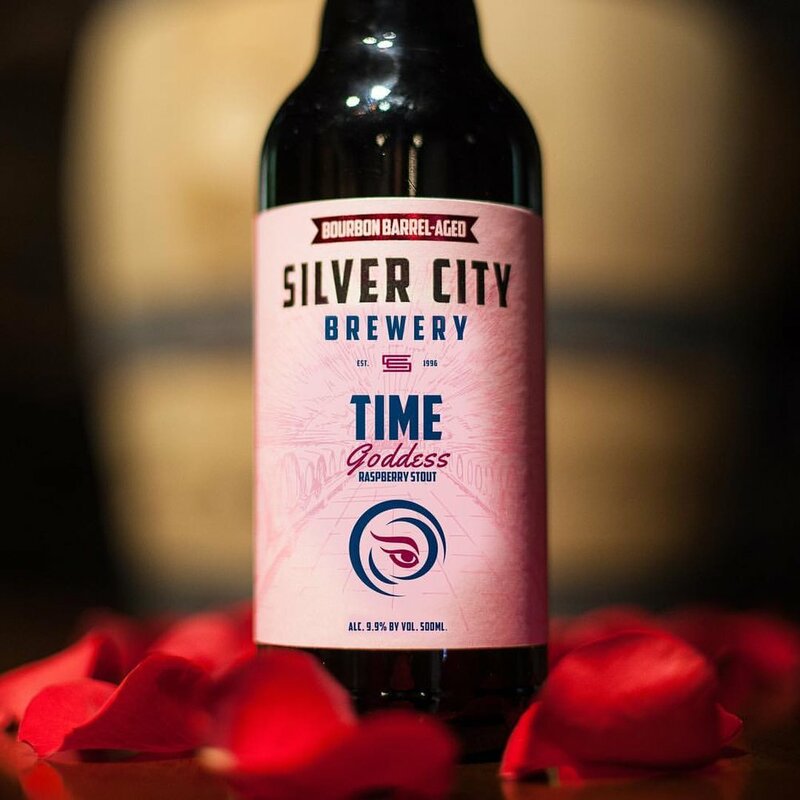 A now-annual tradition at Silver City Brewery, our Valentine's Series of beers incorporate a host of devilishly delectable flavors, encapsulated within some of the rarest, most limited ales produced by the brewery. Each of the beers will be available individually or as part of a special, collector's set including a set of chocolate truffles, each piece carefully crafted with each beer by local, Poulsbo chocolatier ChocMo. The collector's sets are a limited edition run of 72 and will retail for $54.99 each. 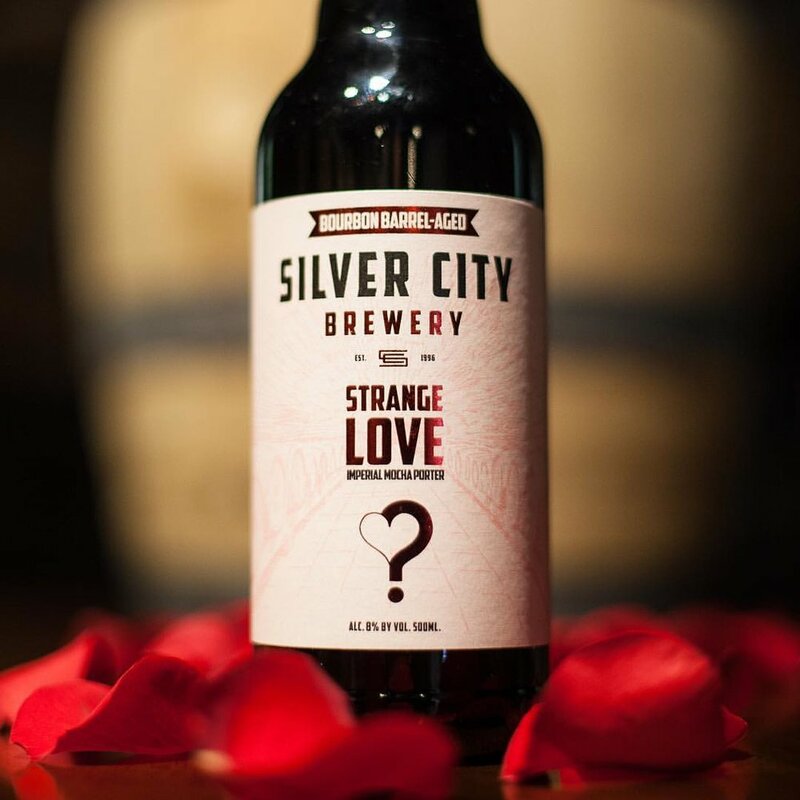 An exercise in extreme decadence, StrangeLove is an imperial porter that’s been aged in a Kentucky Bourbon barrel with cold pressed, locally roasted coffee and handcrafted dark chocolate syrup by local chocolatier ChocMo. Strange? Love? Both. Beauty and Beast. 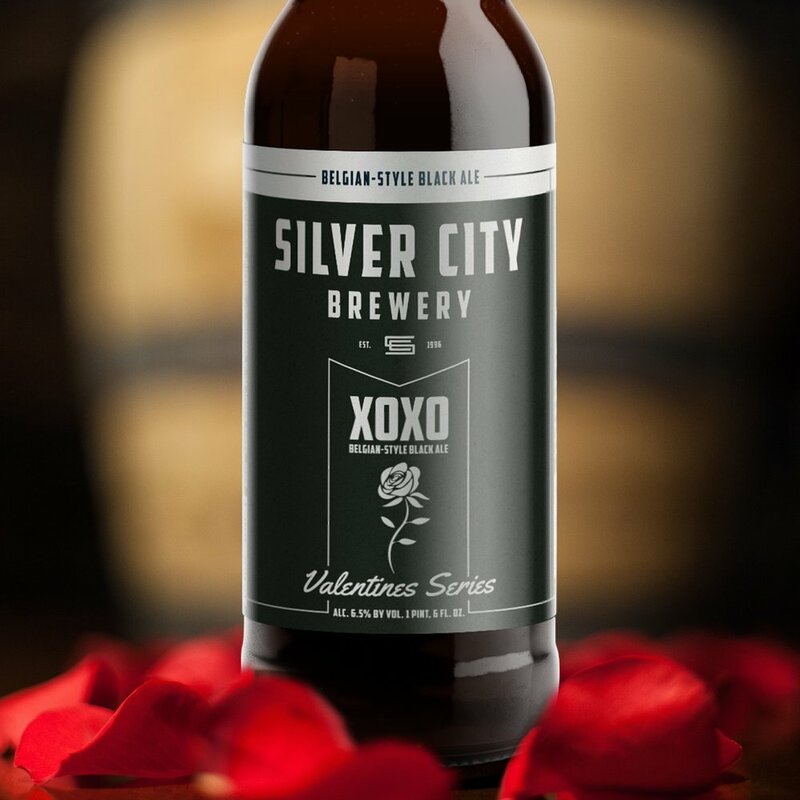 Fermented in oak barrels that formerly conditioned Port wine, XOXO is a dry and delicate black ale that marries the fruit and spice character of Belgian yeast with the floral and berry-like elements of imported German Saphir hops. The color of soft, red lips— a traditional French Saison is elevated with the addition of fresh cherries, rose, and passion fruit, and aged in a Port wine barrel over the course of several months, imparting structured nuances of fruit and spice.